TV Geek Army and Twentieth Century Fox Home Entertainment have teamed up to give one lucky reader the opportunity to win a USA Network TV-on-DVD prize pack. White Collar, as TVGA's own Steve Geise points out, is about blue-eyed thief (Matt Bomer), who "after an abbreviated stint in prison, is now a consultant for the FBI’s white collar crime division, ostensibly because “to catch a thief, it helps to be one.” For the second season, "the main arc shifts from Caffrey’s first season pursuit of his missing ex-girlfriend (presumably killed in a massive explosion in the season one finale) and instead focuses on his quest to unlock the secrets of a mysterious music box and his search for his elusive and evil former mentor and boss, Vincent Adler (Andrew McCarthy)." 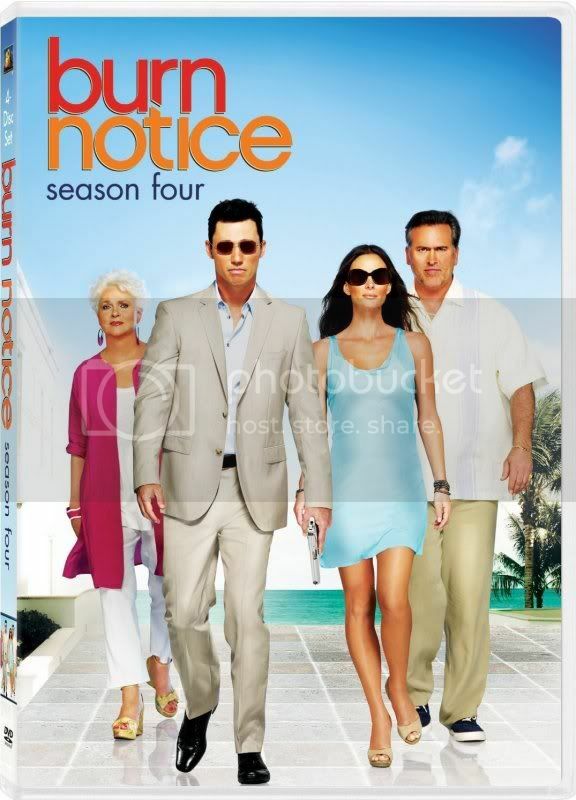 Burn Notice is about Michael Westen (Jeffrey Donovan), a former covert-operations agent who became backlisted. Westen works as a private investigator while trying to discover who burned him. His efforts to discover why cause Westen to burn Jesse Porter (Coby Bell). As Steve tells us, during Season Four, "Westen can’t help but come to his aid as Porter sets out to find out who burned him. Of course that investigation can only lead to one place, setting up an interesting dynamic for the season while Westen assists Porter and adopts him into his tight-knit team while also trying to keep him from uncovering the truth." To enter for a chance to win the prize, send an e-mail to our sister site cinemasentries @ gmail .com (no spaces) with your name and the name of your favorite USA TV series, past or present. For a second chance, leave a comment below. The winner will be picked at random from the entries and is restricted to a resident of the United States or Canada. 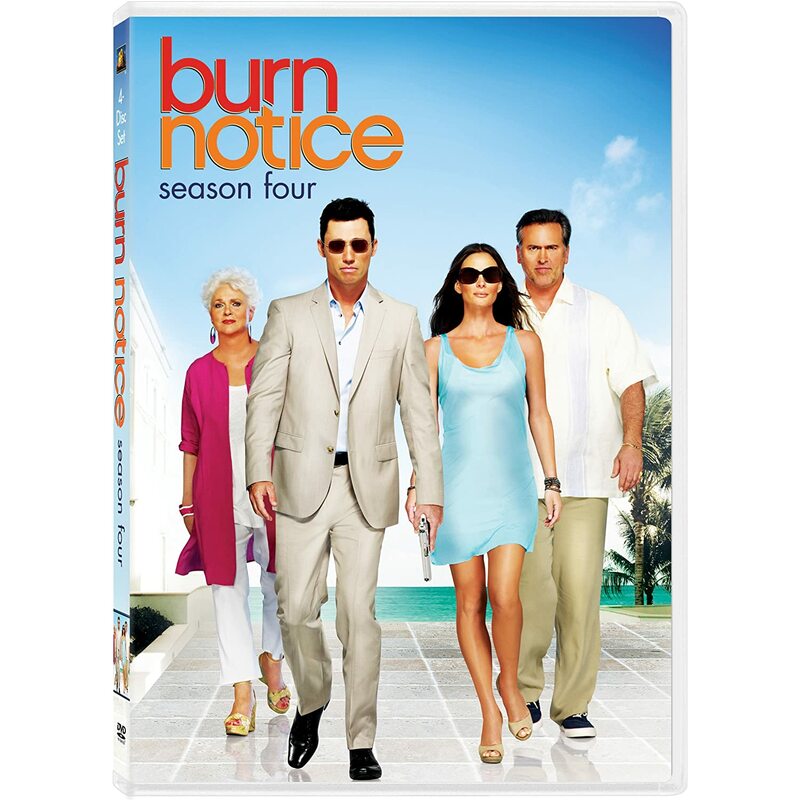 White Collar: The Complete Second Season and Burn Notice: Season Four debut on DVD on June 7, 2011. Thanks so much for running point on these contests, El B ! Just found your site. Am definitely going to come back! Look forward to it molari !